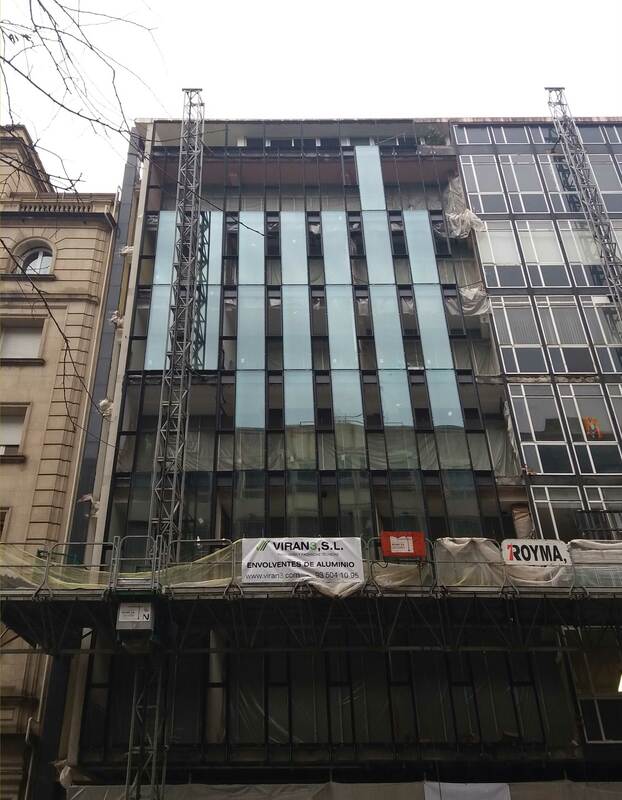 The glass facade has always been characterized, among other things, for being supported by an industry capable of ensuring its continuous development and evolution to be adapted to new functional and formal requirements. 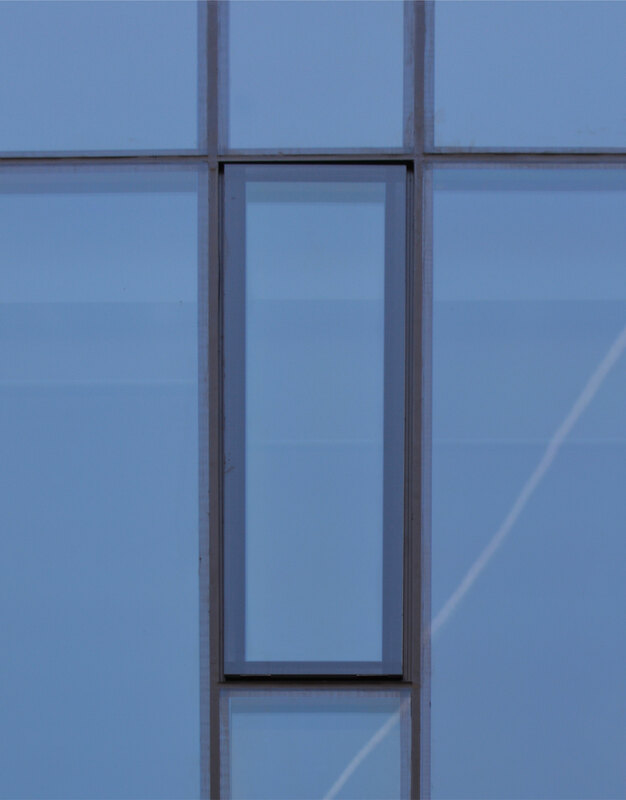 A fact that is unquestionably a value, has the counterpart of a relatively fast obsolescence of the facades that results in the need to replace them quite frequently. 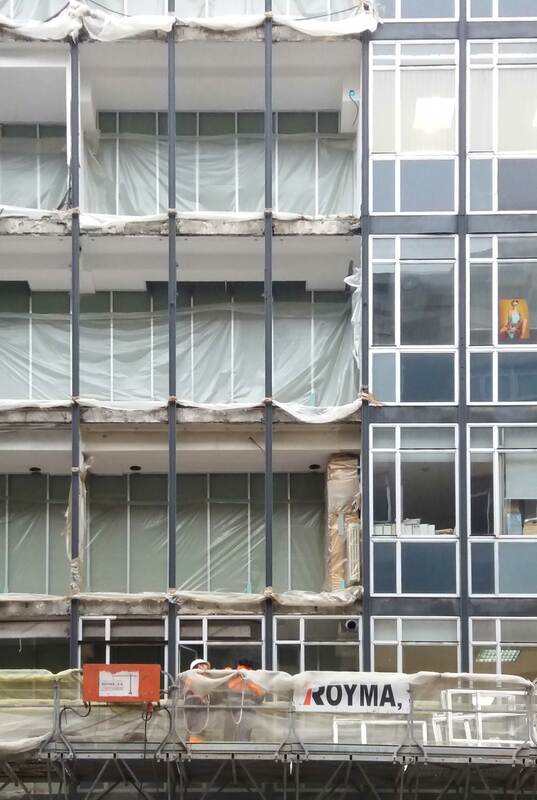 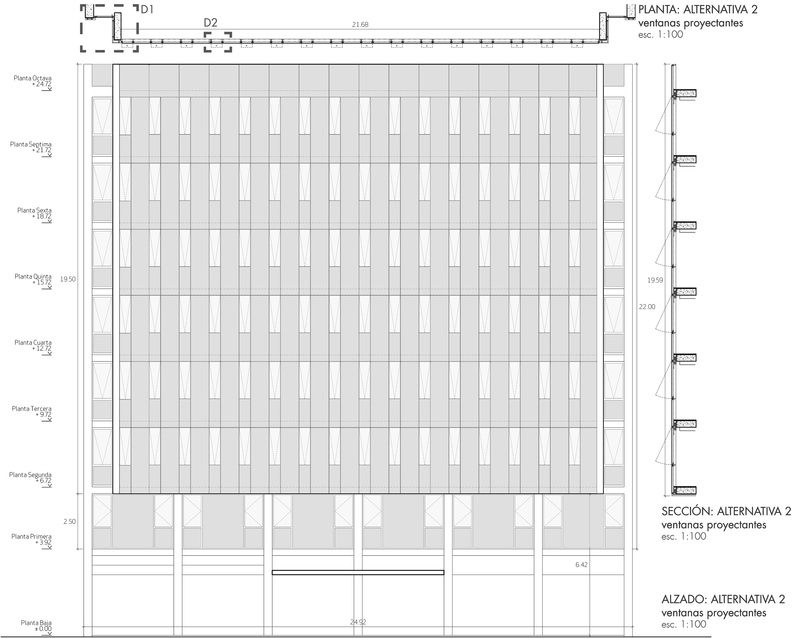 In the case we are now analyzing, the improvements resulting from the façade replacement are evident. 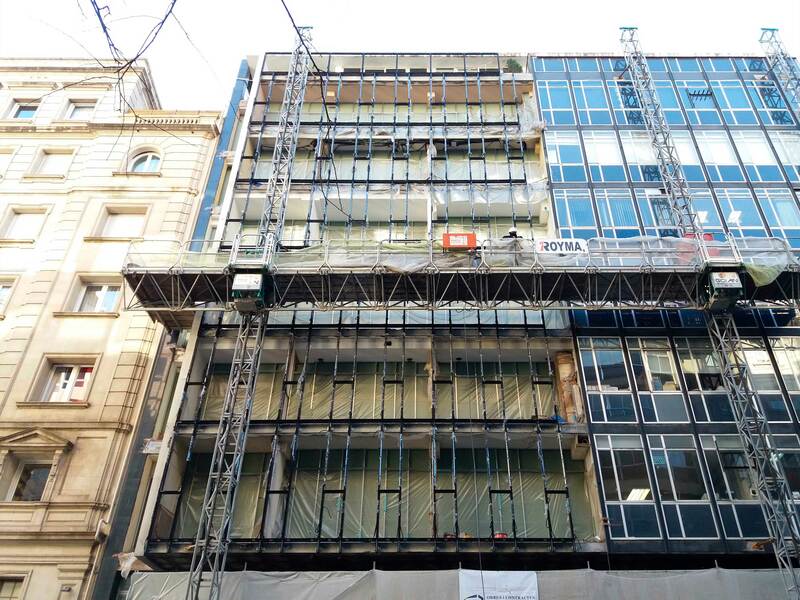 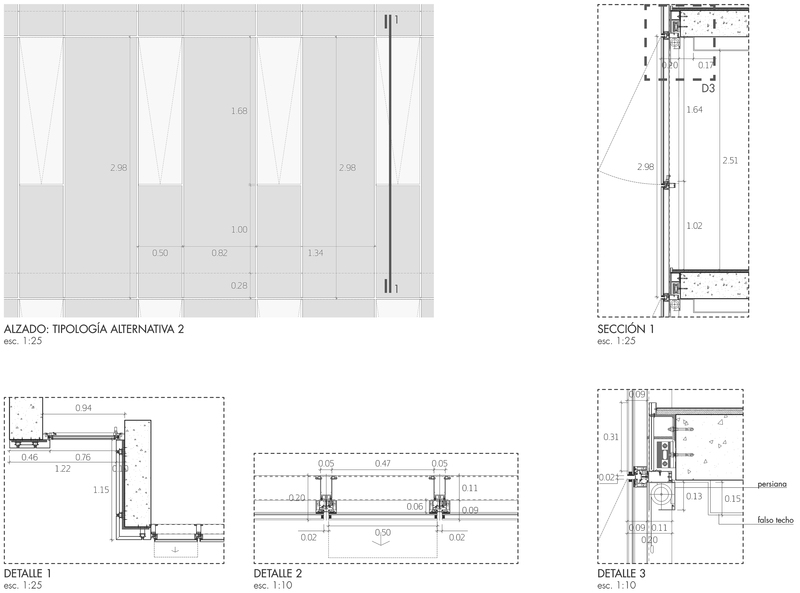 Simply by decreasing the linear meters of joints (possible water and air leaks), passing the new façade in front of the slab edges (no interruption of the enclosure system by the structure) and logically, for the improved features of the new profiles and glass, the investment is worth it. 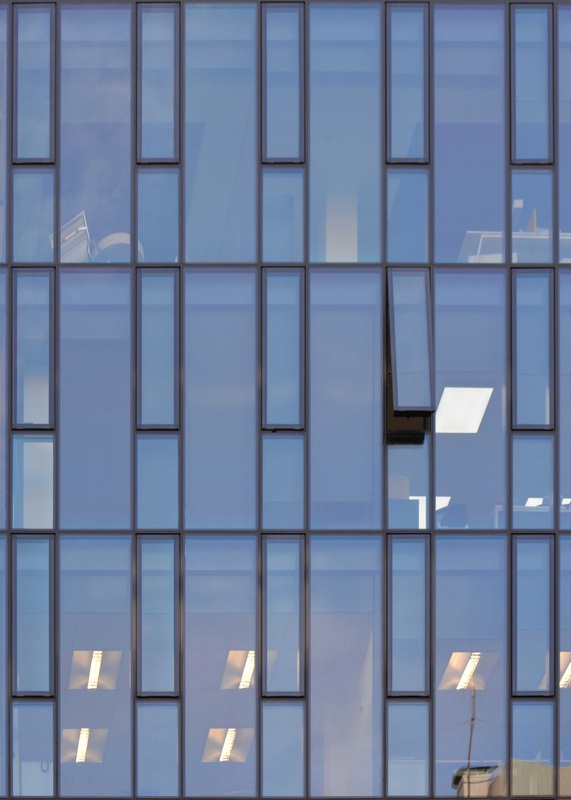 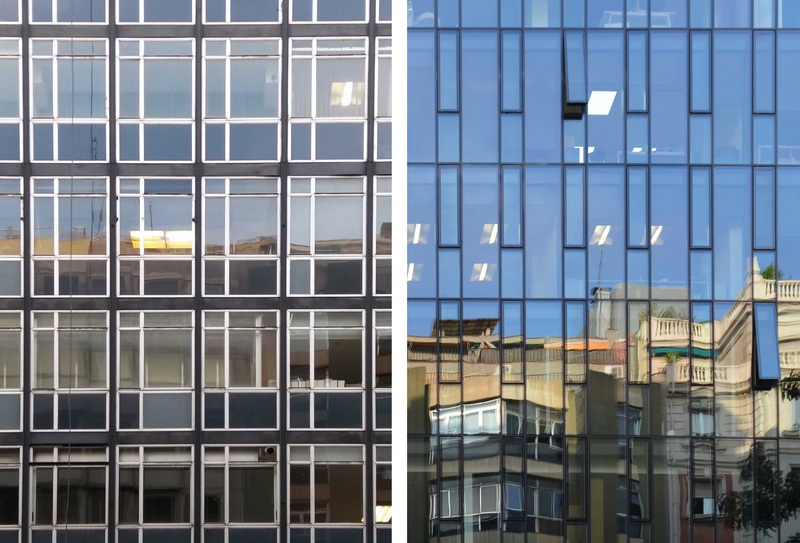 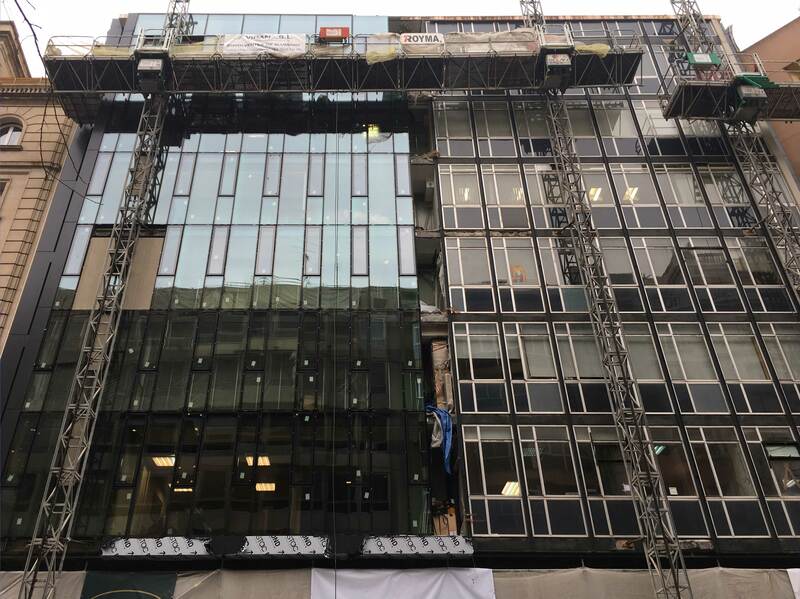 What a pity not having consider rethinking whether the northwest façade of an office building needs being absolutely glazed: more light does not always mean better lighting, while the thermal losses due to transmission in a glass are still high compared to a blind insulated wall.